A BATTLE going since almost the Jurassic at a Coolum resort has led to a court dismissing an appeal from Clive Palmer's Coeur De Lion Investments. 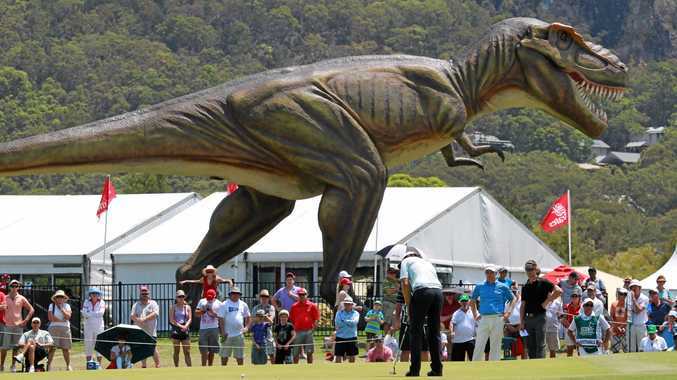 The Palmer Coolum resort, once home to Jeff the giant model T-Rex, found itself the habitat for arguments about the investment company's voting rights. Queensland Court of Appeal said Coeur De Lion was a shareholder of The President's Club, which ran a timeshare scheme with 144 villas at Palmer Coolum. A dispute arose over voting rights at the AGM of The President's Club. In a judgment published on Monday, the appeal court said Coeur De Lion wanted to exercise its rights to vote under the Corporations Act. The President's Club chairman ruled Coeur De Lion was not entitled to vote, because it owed more than $500 per quarter share in the ownership of a villa. Coeur De Lion wanted a declaration that "quarter share” referred to a quarter of a share in the Club's capital. The court said Coeur De Lion had 3107 of The President's Club's 7493 issued shares - about 41.4 per cent. There was debate over what "quarter share” meant in this case. Arguments also emerged over principles of company constitutions. "Clearly, the right of a [company member] to vote at a general meeting is an important one,” Justice Anthe Philippides said in the new judgment. But she said that did not help with some debates regarding members' rights to occupy villa lots "and the clear intention to preclude voting rights being exercised by a member owing material sums” to the Club. Coeur De Lion's appeal was dismissed. It has 28 days to appeal. In 2012, Mr Palmer had an unsuccessful bid to make The President's Club directors pay back more than $400,000 in consultancy fees. That year, Justice Debra Mullins found Mr Palmer was not acting in The President's Club's best interests when his company brought court action against directors. The Sunshine Coast Daily earlier this month reported Palmer Coolum had been listed on Airbnb. "The resort's villas and units, which have been left dormant for several years, are now available for holidaymakers just in time for the peak holiday season,” the Daily reported.